Dear driver-partners, we are excited to share our updated Number Masking privacy feature, to further enhance the safety of our platform. Number Masking will keep your mobile number hidden when calling your passengers. 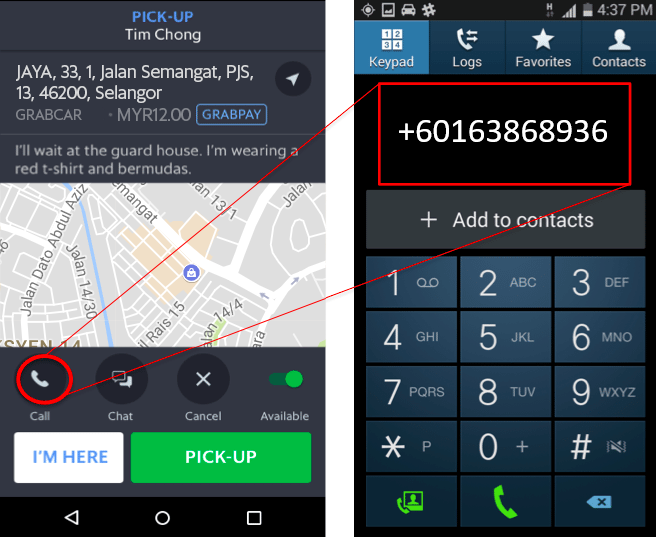 Make sure you are calling from the same phone number as registered with Grab! Option 1: Fill in this request form to have our agent update your phone number within 24 hours. You will be required to answer a series of questions to verify your account details. Option 2: Call our support hotline 1300 80 5858 to update your phone number on the spot. Our friendly agent will need to verify your account details. All other Driver App settings will not be changed. If all fails, revert to GrabChat to message your passenger. If you persistently encounter the problems above, do contact our support hotline 1300 80 5858 and provide us the booking details.